Can a Windshield Crack Worsen Over Time? If you have a crack in your windshield, perhaps the first thing you are wondering is whether it might become worse? The simple answer to that question is ‘yes.’ The severity of the crack and the steps taken to stem the crack determine the likelihood of a crack eventually worsening over time. A cracked windshield is nothing to take lightly. 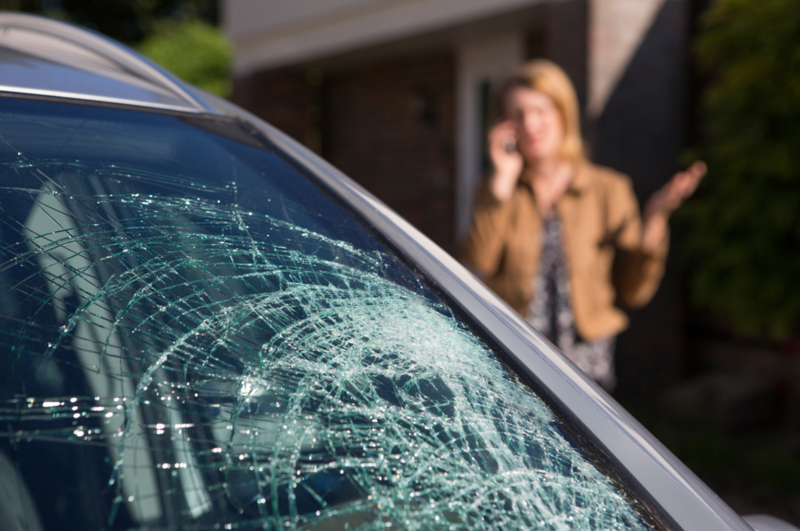 Should your windshield eventually shatter while you’re driving your vehicle, you could be seriously injured. In the vast majority of cases, it’s recommended that you have a cracked windshield replaced or repaired as soon as possible. 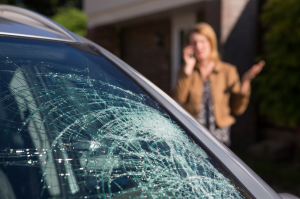 While we highly recommend replacing all cracked windshields regardless of the size of the cracks, some cracks are not as much of a cause for concern as others. If you are thinking about driving with a cracked windshield (again, we don’t recommend this), you should consider the following questions. This will help you to better determine whether or not you’re making the right decision. It’s simple: large cracks are far more prone to spreading than small cracks. The larger the crack in your windshield, the more the structural integrity of your windshield has been compromised. The lower the structural integrity of a windshield, the better chance it has of shattering. If a crack is 5 inches or shorter, it may not be a huge risk. However, if it exceeds this length, the risk becomes much greater. Another thing to consider is the location of a windshield crack. If a crack is located in your line of sight, you will likely have a more difficult time trying to navigate roads. If a crack is located away from your line of sight, it could still hinder your vision, but perhaps not as severely. You should also keep an eye out for cracks that might exist on the edges of your windshield. These kinds of cracks will compromise the structural integrity of your windshield more so than cracks that are centrally located. If your windshield crack is growing progressively larger by the day, this is a sign that your windshield is getting weaker and weaker. It likely won’t be long until it gives out and shatters. If you find yourself in this situation, we recommend that you have your windshield replaced as soon as possible. In Need of Windshield Replacement in Downers Grove, Illinois? Do you have cracks in your windshield? Are you looking to have your windshield replaced? In search of windshield replacement in Downers Grove, Illinois? If so, we here at Lombard Body & Fender are the people to see. In business for more than 45 years, we have replaced a wide variety of windshields throughout the Lombard, Illinois area. Regardless of the make and model of your vehicle, we can help. Call today and find out for yourself why we are the most trusted auto body repair company in Chicagoland. I have a fairly large crack in my windshield that started small from when a small rock bounced off of it on the freeway, but it’s grown and I think I’ll need a replacement at this point. It’s a lot longer than five inches, for sure, and I’m worried that the windshield itself will split in half, so there is definitely a significant structural risk. As I said, it’s grown and is still growing, so from what you’ve said, it’s definitely time to replace it. I like that you suggested having your windshield replaced as soon as possible if you notice that its cracks are getting larger by the day because it’s a sign that your windshield is getting weaker. I will share this with my dad because he picked me up last night from work. What I noticed was the cracks on his car’s windshield look more than 5 inches longer. Well, I asked him about it, and he said that they don’t use to be that long. Thanks for sharing this.